"You’re going to need a root canal”. Those seven little words rolled off the Dentist’s tongue so completely naturally, but trust me; there is nothing natural about a root canal. After years of searching for cures to my panic attacks, anxiety, chronic fatigue, nausea, dizziness, agitation and impotence I finally tracked down the root cause of the problem causing my health issues — A ROOT CANAL. 25 million are performed each year in the USA alone — and root canals are one of root causes of cancer, heart disease and chronic illness. 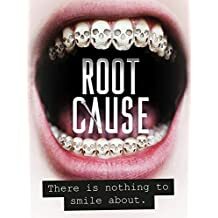 Root Cause is my extraordinary, personal journey of self-discovery set to send ripples through the dental profession and expose perhaps one of the world’s greatest medical industry cover-ups. Mission Statement: Doctor Smith's 50 years of clinical experience has always focused on defining the underlining cause of the patient's problem. Only by removing the initiating factor(s) can the body regain health. Our case studies are examples of real patients and how the underlying issues were diagnosed and correction achieved. Remarkable new evidence regarding vaccines and autism. See: The Vaccine Debate. a must watch! Orthodontic Consumers Beware Ignorance is bliss ... until you run into a problem. Dr. Smith Awarded Doctor of Philosophy (Ph.D.), degree in Dental Health, Honor Cauca by the World Organization of Natural Medicine. Introducing the "Duck" Tape Awards for Dissemination of False Information. Video of Dr. Smith's presentation New Frontiers in Dentistry and Medicine: Technological advances in understanding Autoimmune Diseases, Cancer, and Concussion (1hr 15min, recorded 6/25) Watch Here on YouTube. Doctor Smith celebrates his 75th birthday while teaching in Toronto. At 75 he's is still going strong. Day 1: Up at 5:20am, an hour on the stationary bike, breakfast then lectured for 7 hours, followed by a birthday dinner with his students. Day 2: 7 hours of lecturing then an evening with friends, meditation, and discussion. There is chronologic age and there is physiologic age. The two can be miles apart. Dr Smith was invited to speak at international symposium of integrative oncologists in Arezzo, Italy on March 22nd. He will be presenting his innovative technology regarding the diagnosis of potential cancer initiators and Natural therapy. View the Symposium Program/Speakers (PDF). Insights on the cause and cure of "Disease" — Patrick Timpone, One Radio Network, interviews Dr. Smith. What is Cranial Manipulation and Why is It Important? Dr Smith was both surprised and honored last month when appointed Humanitarian and Health Ambassador at Large by the World Organization of Natural Medicine during their 2017 Annual Conference. Do you need a Flu Shot? — Podcast 1st broadcast Tuesday, 10/3: Listen Here. LEARNING TO HEAL YOUR PETS — Sunday, 10/8, 1-4:30pm, Hampton Inn, 1000 Stony Hill Road, Yardley; $15; Speakers include Dr. Gerald Smith, Dr. Deva Khalsa, Dr. Donna Gigliotti, Dr. Judith Shoemaker; to register phone: 727-447-1776. Blind Faith: Would you trust a surgeon to operate on you who didn't know the anatomy of the area to be surgerized? (aired 4/18/2017) — Listen Here (mp3). (aired 4/25/2017) — Listen Here (mp3). You are invited to learn from the master with 50 years of clinical practice. The 'Duck' Tape Summit is designed for healthcare practitioners (DDS, MD, DC, DO, PT, ND) who are looking for an accurate way to diagnose and treat a wide range of patient chief complaints including: acute and chronic facial pain, trigeminal neuralgia, head, neck and low back pain, sciatic pain, Vertigo, conductive hearing loss, congestive heart failure, seizures, Raynaud's Disease, autoimmune diseases, cancer, migraine headaches, post‑concussion syndrome, resistant infections (MRSA), Tic Douloureux, atypical facial pain, Lyme disease, insomnia, Systemic Lupus, Rheumatoid arthritis, and more. Doctor Smith will also be sharing his breakthrough research on Anti-Aging. Focus will be on the underlying common denominator to all disease processes, the body's responses, and how to reverse its damage: Parkinson's disease, dementia, Alzheimer's disease, stiffness and the aging process. As we age, a major issue facing all of us is hearing loss. Unfortunately, little is being done to prevent the problem, and its resolution primarily focuses on treating the symptoms with hearing aids. Removing the root cause of the problem, which is fibrosis, is the best way to turn back the clock. In Qi Gong Acupuncture, the energy flows through the path of least resistance and functions to restore the body back to center. More Here. In her own words, hear Leona drive home how powerful the systemic enzyme, Zymessence really is. Dr. Wong is the developer of Zymessence Systemic Enzymes Supplement. Dr. Ron Repice & Dr. Gerald Smith with Dr. Wong on BlogTalk Radio, aired on Tuesday, October 12th. Dr. Smith is now a visiting professor and consultant at Universita Popolare Di Arezzo, Arezzo, Italy. At the university's recent international oncology symposium, Dr. Smith's presentation regarding his breakthrough research in reversing cancer was well received. As a result of Dr. Smith's ground breaking research, Professor Sabato offered him a visiting professorship and consultant position at his naturopathic university, which Dr. Smith graciously accepted. PHOTO (above, right): Dr. Smith is treating Professor Giuseppe Sabato at the Integrative oncology conference in Arezzo, Italy. Professor Sabato had severe cataracts in both eyes and considered legally blind. Dr. Smith administered a 20 minute treatment with the Bioptron (full spectrum polarized light). Immediately following treatment Professor Sabato had tears of joy because he was able to actually see objects with detail. The full spectrum polarized light increases micro-circulation by 47% and stimulates the production of nitric oxide, which speeds up the healing process. Once word got out at the conference, Dr. Smith was inundated with requests to treat many of the conference doctors for their various chronic pain issues. When the dust settled all those who were treated walked away with a definite reduction in pain. Patrick Timpone host of One Radio Network talks with Dr. Smith (about 1 hour). Topics covered include CANCER and CONCUSSION. Dr. Smith has been a frequent guest on the One Love Well-Being and Lifestyle Show which is sponsored by Dr. Peter Amato's Inner Harmony Wellness Center. Topics include: Bio-compatible Dentistry, Energy Medicine, Diagnostic and Treatment Protocols and 2-part summary of Dr. Smith's unique, clinical paradigm developed over his 40 years of practice, The Dental/Whole Body Connection. Listen to Dr. Smith Live Tuesdays 7:00-8:00pm. Dr. Smith co-hosts with Dr. Ron Repice on Rejuvenations Health Radio. LISTEN HERE — call-in with questions: 347-989-8899. If you are tired of living with unrelenting pain and told to live with it and manage it, it's time to get proactive. The reader is presented many underlying causes and therapies for pain that most health care doctors are unaware. Dr. Smith's return to Korea was an over whelming success. Dr. Smith presented a two day seminar to an enthusiastic group of his previous students. On completion of the seminar, he reflected, "It was heart warming to hear that my concepts were being applied specially from the success stories from my students. As James Taylor said, 'The secret of life is enjoying the passage of time.' My 18 hours of travel time was worth every minute." Doctor Smith was recently interviewed for a major documentary on Dentistry. A wide range of topics were covered to enlighten and expand public knowledge regarding such topics as the toxicity of root canal teeth, the direct effect of orthodontics on the entire body, toxicity of mercury and fluoride, causes for loss of vitality and many more issues that directly relate and connect the oral cavity to the whole body. The documentary will be completed by the end of 2016 and will be aired on cable stations. 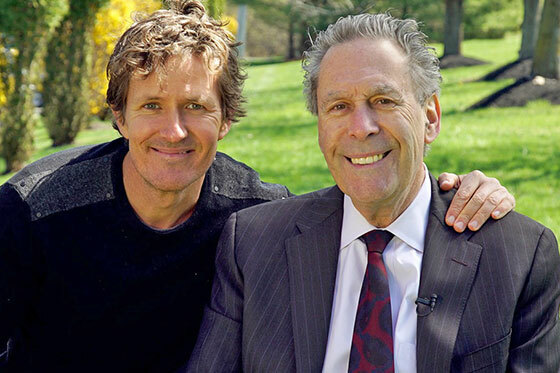 Dr. Gerald Smith is photographed with Frazer Bailey, one of the film crew that flew over from Australia to make the documentary. Doctor Gerald Smith presented his unique Occlusal Cranial Balancing seminar in Manila, Philippines. Over 80 dentists attended this event. The professionals witnessed first hand the powerful concepts being taught. Several dentists with chronic pain issues (primarily migraines and lower back pain) had their pain resolved with one adjustment by Dr. Smith (see video testimonial). The seminar was well received. Dr. Smith will be returning to present his mini Dental Whole Body Residency program and Advanced Lightwire Functional orthodontic programs next year. Dr Smith teaching students how to feel cranial distortions related to poor bites or malocclusions. Harvard study confirms fluoride reduces children's I.Q. Quantum Testing approach provides one of the most non-invasive, comprehensive evaluation and treatment protocols available today. A comprehensive 7.5 hour learning experience in the comfort of your home. Learn how to diagnose patients accurately and efficiently to discover their core problems. Learn how to accurately select the best natural supplements and prescribe at the optimal minimum dose. Learn how to sequence the supplements to reduce Herxheimer reactions. A Journey from Cancer to Cure! Powerful personal journey reversing a stage III ovarian cancer with minimal side effects using alternative medicine integrated with conventional treatment; describes effective, non-invasive advanced technologies to destroy cancer while preserving the immune system and body integrity.